﻿ How to Recover Data from Formatted SD Card Free? Position: Home > Hard disk format recovery > How to Recover Data from Formatted SD Card Free? How to Recover Data from Formatted SD Card Free? Do you need to recover data from formatted SD card? Or, have you found it's pretty tired to browse in Google to find a trustful SD card recovery software to get back lost files? Relax, here's a unformat SD card freeware for you to get back lost files. Why the formatted or deleted files from SD card are still recoverable? Have you had such experiences to format the SD card, pen drive, digital storage medium, USB flash drive before? Did you think the data on the SD card has gone forever? The truth is when you formatted or deleted data from SD card, the file system just deletes the parameters of the files and marks the spaces belong to the original files as free for writing in. Once new files were writing in and then they occupy the free spaces for sure, in addition, the file system cuts the files into several pieces and save them into different areas on the SD card, latter, it generates the specific parameters that allow users to access the files. Thus, when you permanently deleted or formatted the SD card intentionally or unintentionally, although the data disappeared, or the SD card is looking as blank card, the files segments still exist there, if you think the deletion or formatting was mistaken and are willing to get back lost files, you'll have to rely on SD card data recovery software. Everybody knows the pain after data loss, but if you have already attempted to find a reliable SD card data recovery software for SanDisk, Lexar, Kingston, Samsung, Toshiba, Verbatim, PNY, Integral Ultima, Delkin, Transcend or Sony and found that none of them is free of charges. Don't be restless, today in this article; we will present the best tool for you to recover data from formatted SD card. It's different from usual deletion, such as using DEL key to clean the files and send to the Recycle Bin, in this way, you can right click on any blank space of the SD card folder and then choose Undo Delete or open the Recycle Bin and then hit Recover. Formatted the SD card means completely erase or wipe the SD card, in usual formatting operation, you'll receive a prompt: WARNING: Formatting will erase ALL data on this disk, to format the disk, click OK, To quit, click CANCEL. On the contrary, if the SD card was removed unsafely, you may receive prompt while connecting to the computer: You need to format the disk in the drive before you can use it. However, you cannot use again the Undo Delete to recover data from formatted SD card, because there's no such option for you to choose, anyway, SD card data recovery software can help! It was designed to recover photos, documents, video, audio, archive files on the SD card for you! Most importantly, there's an SD card freeware with affordable price after an initial free trial, which is Bitwar Data Recovery we would like to present to you. How to Recover Data from formatted SD card? Step 1. Download Bitwar Data Recovery software, which is a powerful data recovery tool that you can free to use in initial 30 days without limits, after installed to your computer, double click the Bitwar desktop icon to launch it. Step 3. Choose formatted SD card device in the interface and then select Formatted Recovery in the next move. In order to make sure the successful recovery rate, please remember that don' write new data into the SD card! Step 4. Select all types or check the types as you need and then click the Scan button, the software starts to scan SD card immediately and while it's scanning, the formatted files are also listing out in the interface and wait for you to preview. Step 5. Choose the files you need and then double click to preview, hit Recover after you confirmed the files are desired ones. You can check Bitwar Multiple File Selection tutorial to short your selection time. Recover data from formatted SD card isn't difficult than imagines. Find a right SD card freeware can short most of your time to process full recovery. 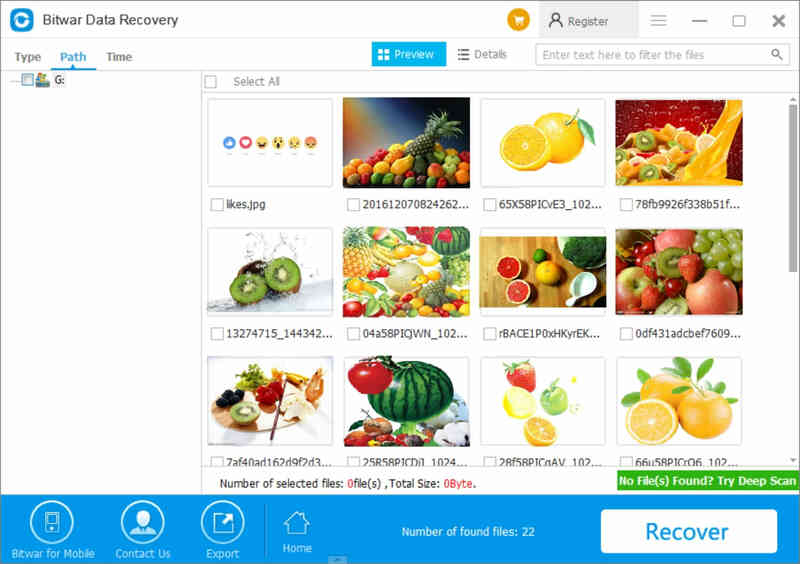 Compare with Bitwar Data Recovery's rival data recovery software, such as Easeus, Minitool, Wondershare, all of them only offer limits of recovery amount that restrict you to get back lthe oss of data completely. We hereby strongly recommend you to download Bitwar Data Recovery as a long term and reliable data recovery software during your computing lives. Summary：Bitwar Data Recovery offers the 30 days free trial. You can recover accidentally formatted all file types from the hard drive or any other storage devices. Summary：How can we use Best SD card data recovery software to recover data from formatted SD card or recover data after accidental deletion? Find it out in this article and get your answers.